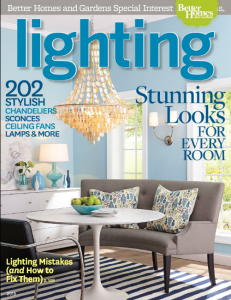 ALA and Better Homes & Gardens editors present a new lighting trends video to show how lighting can make a positive impact on your life. Lighting helps define space and set a tone. The types of fixtures you choose are key in shaping the spaces they illuminate. To see the various kinds of lighting that can transform your space into a beautiful and welcoming home, view a new lighting trends video. 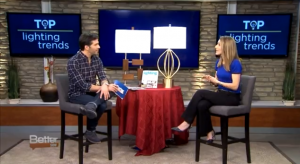 The video, presented by the American Lighting Association (ALA), features Samantha Hart, home design editor with Better Homes and Gardens Special Interest Media. We are remodeling our kitchen. What are the best options for using LED lighting for the different types of lights needed in this room? – Louise C.
There are many options available today in the LED lighting category. Recessed downlighting and undercabinet lighting offer the most product options. A number of lighting manufacturers have developed a comprehensive line of LED products for use in residential applications. The Internet and your local Hortons Home Lighting showroom are great sources of information about the many LED products available, including the quality and amount of light they produce. Submit your questions for an Hortons Home Lighting professional.